You have no doubt been in circles where someone has name-dropped. Perhaps you have done so yourself. I know I have. I happen to know some "big names" in some areas of ministry that I can drop at times to gain a hearing. To be honest, I don't know why I do it. And even more honest, I don't think it has ever done anything for me. I teach evangelism and discipleship courses for OCU (is this name-dropping?) and have done so now (online) nearly ten times. One of the projects in the class is for students to write out their testimony as if speaking to a non-Christian who might be interested. Did you catch that last part? Write it out for someone who doesn't know, or perhaps has never heard about, God, Jesus, the need for salvation, and how God has answers for their life's problems. When evangelizing, be sure to drop the right name. I wanted to give the current class a list of ten things I have learned from their writing their testimonies this time around. I thought I would post them here first. 1. Right friends/relationships vs. Wrong friends/relationships. --It is true, show me your friends, and I will tell you your future. 2. Family examples had a prominent impact--both for good and for bad. 3. Raised in a Christian home doesn't automatically make you a Christian.--There has to come a time when you claim the Name of Christ for yourself. 4. Activity/Service in your local church helped you to stay away from using your gifts for the world; and vice versa. --Where there was no ministry opp for you to use your gifts in your local church, you found acceptance in using them for the world. 5. 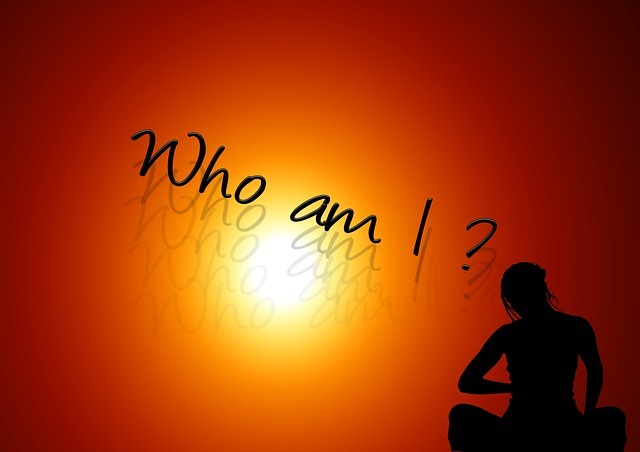 Identity, who you are, who you are becoming, was a major theme in most all of your stories. --I haven't thought about/reflected on this long enough yet; still chewing on this one. 6. Everyone wished they had given up and surrendered to God sooner and lived for Him sooner because it would have spared them the waste and helped them experience peace in life. But that couldn't either be seen as an option or heard as important early in their life. --Why? What can we do about this? I understand some will have to go the way of hard-knocks, but could others be persuaded to stay faithful? 7. How we are with God is how we are in relationships.--On the outs with God leads us to be on the outs with those closest to us; closer to God leads us to be closer to others. 8. The power of God to keep you from sin is just as great if not greater than the power to deliver you from sin.--A life kept from sinning has opportunities available that a life delivered from sin does not. NEVER think your testimony is less significant because you were not delivered from a sinful lifestyle and somehow think you can't relate to others; the glory in your life is very powerful for Jesus Christ, and will be revealed in due time. STAY FAITHFUL! 9. Many of you heard God speaking to you...in your own way. --God knows what you need to hear from Him. I have heard him speak to me audibly in my spirit only a few times, but it was distinct, inarguably him, and highly relational--that is, in an I knew He knew I knew what He was talking about when He spoke to me sort of way. 10. Several of you found it hard dropping your "christianese" in your testimony, but you must. I am a bit perplexed as to why it is so ingrained as you feel the need to tell you've been saved, baptized, and sanctified (with specific dates). There is a line in your syllabus that asks you to ask yourself, "What was my life like that will relate most to the non-Christian?" When I read some of your opening sentences, I was left wondering how those things would be taken by a non-Christian. I believe it would confuse them, cause them to be sidetracked and probably not listen to the rest of your testimony because they are thinking of what "sanctified" means. Those things mean nothing to someone who is in pain and needs relief of their sins. One of the challenges of this course, is to speak in a tongue non-Christians understand. It is the incarnational way, the leaving of where we are to go to them and speak in a way that they can hear. My challenge would be two-fold for you to reflect on: 1) to drop the Christian titles and classifications when outside your church group in the world of those who need to hear about a Savior who loves them so much and can heal and deliver them, and 2) to drop the Christian titles and classifications when inside your church group for there are those need to hear more about a Savior who loves them so much and can heal and deliver them and less about you (and dates). So what principles can we pull from in these ten things? God desires that all should come to him and that none should perish. His general grace and the light of the knowledge of Him is available to all. Growing is a process that takes time, so while you are growing, be sure to fertilize by choosing your friends wisely and finding good adults who will invest good words into your life. Let the rains in your life help you to grow (better and not bitter) and keep yourself under the sunshine of God's love as you grow--claim His name as your own--surrendered to Him at a young age (it is why the adults have invested their wisdom in your life). It is never too early to serve and use your giftedness for the kingdom of God--it will keep you connected. God is faithful, even when we are not, and there is always a road back to Him; however, the road back isn't as good as the staying home in the first place. Stay humble as you share your story in everyday terms--but share it often. Never become "somebody" in a very small bubble in your church group--this will distract you from being somebody God can use anywhere and everywhere. And when evangelizing, drop the right name--it is more about the name of Jesus than any other, including your own.